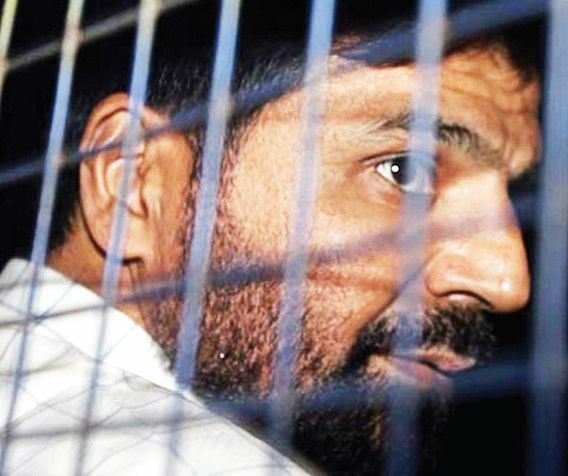 If the Supreme Court rejects Yakub Memon’s appeal to suspend his execution for his role in the 1993 Mumbai bomb blasts, he will take his last walk at 7 am on July 30—to the gallows at Nagpur Central Jail. The bombings were meant to avenge the demolition of the Babri Masjid, which India’s liberal and secular establishment still condemn as an attack on the minorities. However, a new report by Death Penalty Research Project of the National Law University (NLU), Delhi shows that of the 1,414 prisoners in the available list of convicts hanged in post-Independence India, only 72 are Muslims—not even 5 per cent of the total executions. The report, however, clarifies its list is not meant to be a reference for the total number of prisoners hanged in India since 1947. ■ Of the 27 prisoners hanged in Andhra Pradesh till 1968, only two were Muslims. ■ Of the 25 hanged in Delhi, only four were Muslims. ■ Of the 103 hanged in Haryana, there was only one Muslim. ■ Of the 39 hanged in Karnataka, only three were Muslims. ■ Of the 78 convicts hanged in Madhya Pradesh, only five were Muslims. ■ Of the 56 hanged in Maharashtra, there were only five Muslims. ■ Of the 366 prisoners who went to the gallows in UP, only 45 were Muslims. ■ Of the 32 convicts who were hanged in West Bengal, only seven were Muslims. The death list in some states is tainted with gallows humour: in Kerala, no records are available because the authorities confessed termites ate them all. The story is similar in Andhra Pradesh, where termites have made a meal of all records pertaining to executions after 1968. The report was compiled by NLU researchers from the responses received from India’s Central jails. Certain prisons provided information for only a certain period of time, or like Tamil Nadu, refused to give any data. According the report, in Jammu and Kashmir, the playground of Islamist terror, not one Muslim has been hanged. Official statistics of terrorist killings in J&K are available only up to 2009, which note that over 47,000 people have died in terror-related violence. The up-to-date numbers would be higher. The Human Rights Watch has noted that thousands of Kashmiri Hindus have been killed over the past 10 years by terrorists and Muslim mobs. Additionally, in Haryana, Odisha, Rajasthan and Punjab, not a single Muslim convict has gone to the gallows. In India’s capital, Delhi, Muslims comprise 11.7 per cent of the population, making it the second largest community after Hindus. Here for every Muslim, five members of other communities climbed the scaffold. Executions are carried out in Jail No. 3, Tihar Jail. Sections of the media and politicians such as Asaduddin Owaisi, leader of the Andhra Pradesh communal outfit, the All India Majlis-e-Ittehadul Muslimeen, and Abu Azmi, Samajwadi Party leader from Maharashtra, are protesting the death sentence. Owaisi accused the government of hanging Memon only because he is a Muslim and questioned why the death sentences of those convicted in Rajiv Gandhi’s assassination case were commuted to life imprisonment. He had wanted Bangladeshi anti-fundamentalist author Tasleema Nasreen to be beheaded and had called MLAs kafirs and Hindus impotent. He was jailed for making hate speeches, but no harm came to him. In united Andhra Pradesh, his state, 27 convicts were hanged of which only two—Jonada Muslalaiah and Sk. Babu Sahib—were Muslims. Azmi had accused the government “of making moves against Muslims”. He claimed that according to the chargesheet, Memon was innocent. “He did run away with his brother but he has not committed any huge crime,” said the Maharashtra legislator. In his own state—where there were 63 terror-related incidents this year alone, (around nine a month) and 139 in 2014 (around 12 a month)—56 were hanged for various offences. Of these, only four Muslim convicts—Abdul Rehman Imrankhan, Abhasjhan Wazirkhan, Munwvar Haun Shah, and Ajmal Amir Kasab—climbed the scaffold, just 7.14 per cent. This amounts to 13 criminals of other faiths for every Muslim. Kasab was a Pakistani terrorist and part of an ISI-trained team, which killed 166 innocent people and wounded 293 in the bloody invasion of Mumbai in November 2008. The ultimate irony happened on Friday when Naxalites in Nagpur jail, whose singular manifesto is bloody revolution to cleanse society of class enemies, went on a hunger strike protesting the death sentence awarded to Memon. Naxal attacks have claimed around 13,000 lives so far. In MP, the death rate is 6.41 per cent of Muslims hanged against those belonging to other communities. Executions were carried out in Jabalpur and Raipur central jails, but the latter has been shifted to Chhattisgarh after the division of the state.